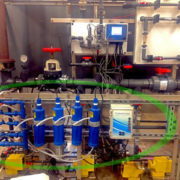 4-Month Scale Control Test a Real Success! 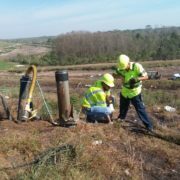 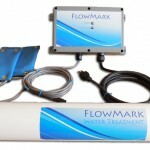 A four month evaluation of FlowMark has just been completed in Mexico. This customer has 18 evaporative condensers that suffer from heavy scaling (See left Picture). 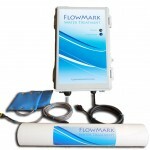 Two other physical treatment technologies have failed to help solve the problem. 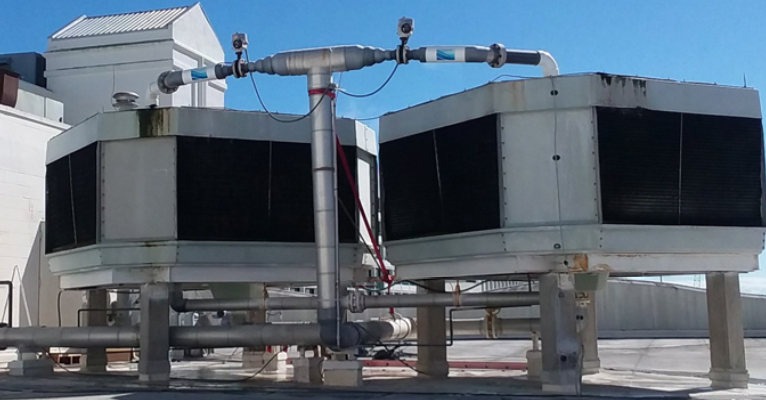 These condensers have no conductivity control. 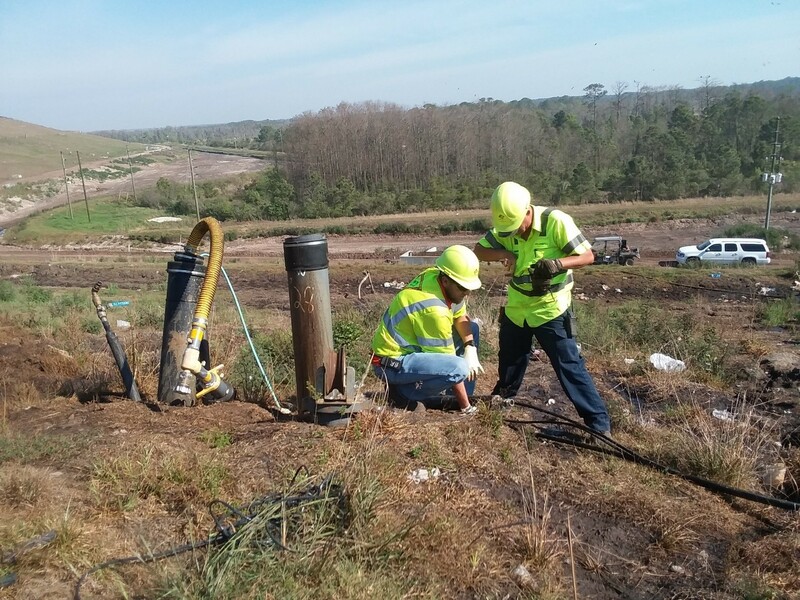 Instead, the systems are drained and refilled once a week with fresh water. The water has calcium carbonate concentration starting at 200 PPM and cycling up to 900 PPM by the end of the week. 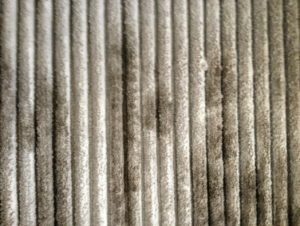 The silica levels start at 65 PPM and cycle up to 280 PPM (about 4.3 cycles). 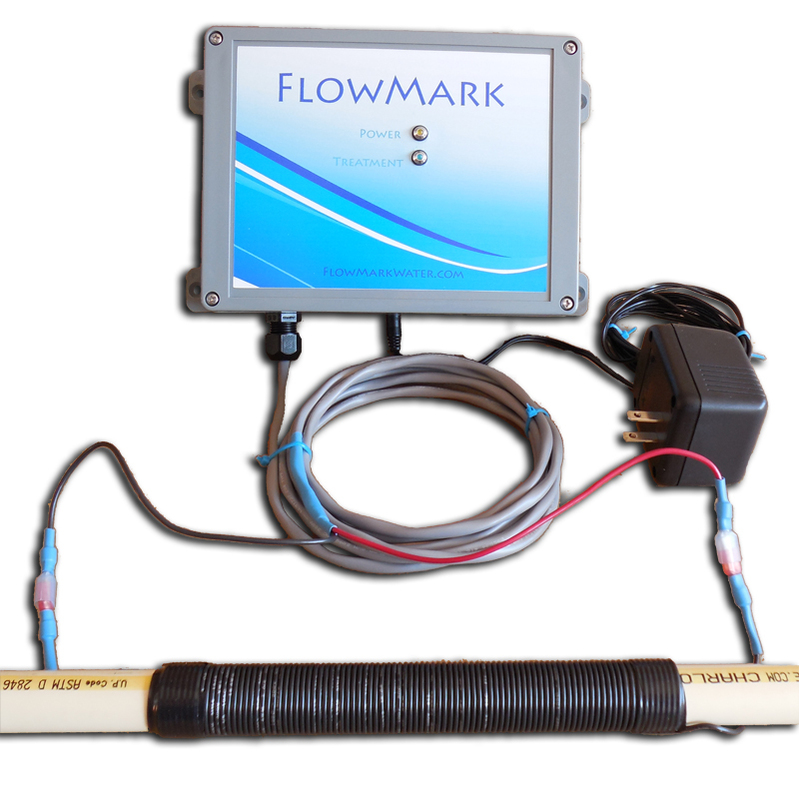 The FlowMark model Mark-III has kept the condenser tubes free of scale despite unorthodox conductivity control as seen in the right photo above. 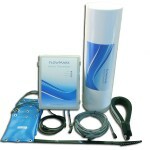 This system saves a lot of money in cleaning expense and repairs. Needless to say, the Customer is very pleased. 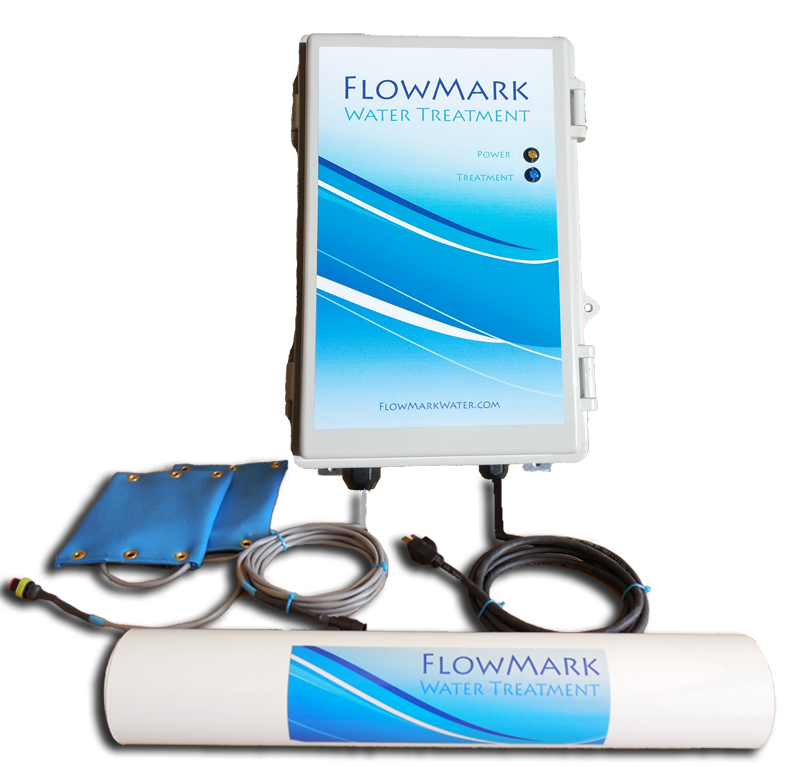 A large New York State Manufacturer sees firsthand how well the Web Induction Pulsed Power Water Treatment System manufactured by FlowMark removes calcium carbonate from high conductivity water (about 1550 micro-siemens). 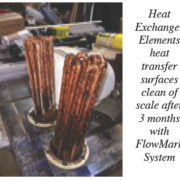 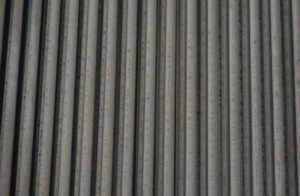 FlowMark systems promotes the formation of calcium carbonate seed crystals in the treated water which fall out of solution in quiet areas of the cooling tower system instead of plating out as hard scale deposits inside the chiller or on the tower fill. 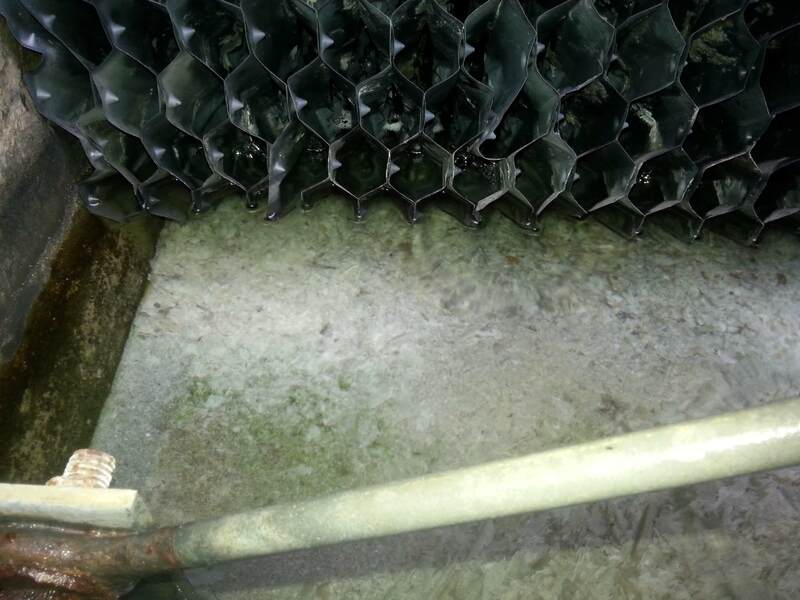 In the photo above one can notice the large amounts of loose granulated calcium carbonate on the tower basin floor and the absence of any scale in the tower fill. 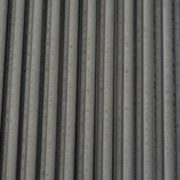 The loose granulated calcium carbonate is easily removed by manual cleaning. 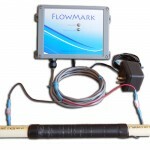 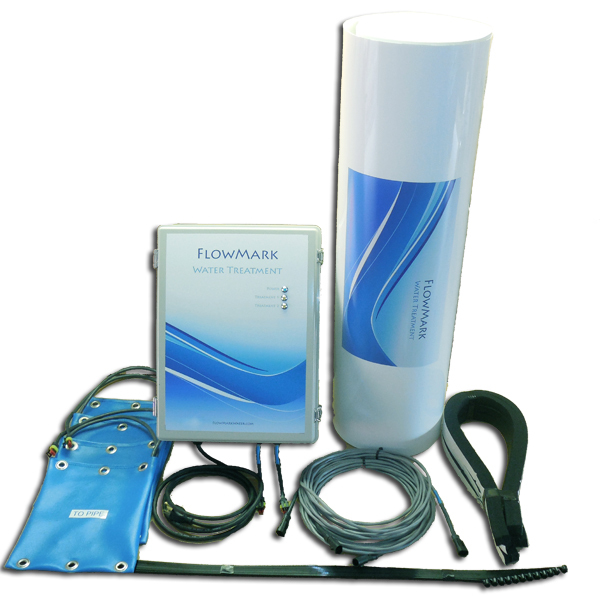 Chiller FlowMark Water Treatment System with conductivity based controls. 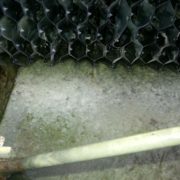 cooling tower is crystal clear. 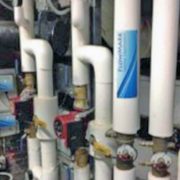 In cooperation with Volusia County Schools HVAC Management, FlowMark Water Treatment of Daytona Beach, FL has successfully completed a 6 month paid trial to prove the validity of their Web Induction Pulsed Power and Advanced Oxidation Systems. 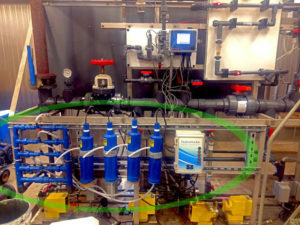 All conventional chemical treatment was suspended during the trial period. 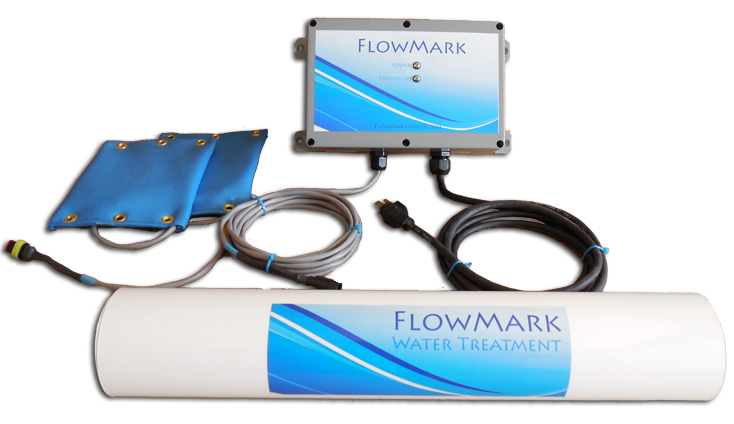 The FlowMark chemical free system provided excellent scale and bacteria control while operating at high cycles of concentration to conserve water. 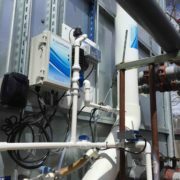 Management was impressed and is not considering a chemical free water treatment bid for all schools.